Gilbert Tuhabonye's story of survival will inspire you to make the most out of your day and life. Do you think that you cannot handle what you are going through? Whether it is physical or emotional stress? Do you feel like you cannot get through the day? Read how the ‘anchor' of running enabled Gilbert Tuhabonye to survive genocide in Burundi. Gilbert's running anchor helped him survive a massacre few of us could ever imagine. Gilbert's story inspired me to develop the positive anchors of deadlifts, squats, pushups, and real food to battle the wounds of depression and obesity. If you can use a shot of inspiration, Gilbert Tuhabonye will motivate you to never get discouraged in life. 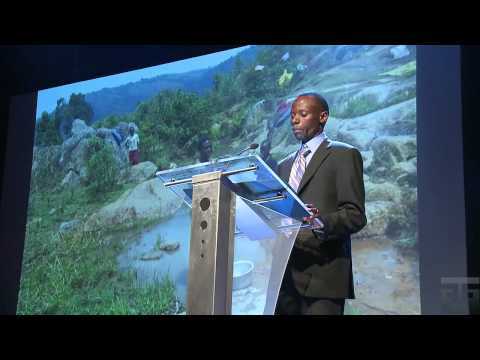 Gilbert Tuhabonye was born in Songa, Burundi in 1974 into a Tutsi tribe. In 1992 Gilbert was the National Champion at 400 and 800 meters in Burundi. Just a year later he faced a fiery death in a genocidal massacre. At the age of 19, war exploded between the Hutu majority and the Tutsi minority tribes. On October 21, 1993, Burundi's first democratically elected Hutu president, Melchior Ndadaye, was assassinated by Tutsi extremists. As a result of Ndadaye's assassination, violence spiraled out of control between the Hutus and Tutsis. Members of the Hutu tribe invaded Tuhabonye's high school and captured more than 100 Tutsi children and teachers. Most of the captives were hacked to death with machetes; the rest were burned alive. Gilbert survived by burying himself under the charred remains of his former schoolmates and teachers. He attributes his escape because of his deep faith and a body made strong by running. A runner since childhood, he ran from that horror, into a new life. A life of hope. Today, Gilbert is a retired world-class runner, the head cross country and track coach at St. Andrews High School and a community leader in Austin, Texas. He is also the owner and founder of Gilbert's Gazelles, one of Austin's largest running training groups, and a co-founder of the Gazelle Foundation, which provides clean water to both Hutus and Tutsis in his homeland of Burundi, Africa. What Can We Learn from Gilbert Tuhabonye? Are you struggling with circumstances in your life that feel out of control? Do you encounter multiple levels of challenges on a day to day basis? They range from minor annoyances which eat up so much of your precious time, like commuting, errands, bills, grocery shopping, car pool. To more serious issues like divorce, job stress, job loss, physical or mental illness, aging, and personal struggles. Whatever you are facing, it is probably not as immediately catastrophic as what Gilbert faced that day lying under the burned corpses of his teachers and classmates. Yet, he got out, Gilbert Tuhabonye ran out. The operative word is that he ran out. Because of his physical conditioning, he was able to outrun the Hutus who were pursuing him with blood in their eyes. Note that he says that running is his therapy, his freedom and grounds him. Running is the vehicle for all other blessings that have come his way. What is your anchor? What activity can keep you grounded, can give you freedom from the challenges you face. 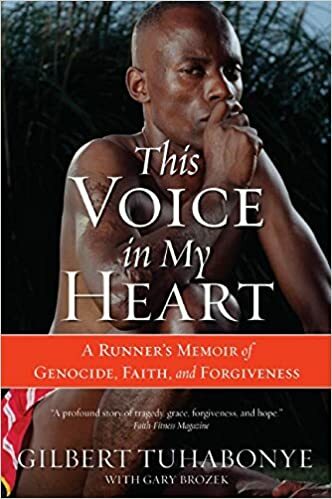 Gilbert Tuhabonye faced genocide, but running brought him to safety, to a spectacular new life. Imagine, from the burning embers of the Burundian civil war to providing clean water for thousands of his native country's population, whether they are Tutsis or Hutus. When I first read about Gilbert Tuhabonye's life, I was 10 years into a living nightmare of the aftermath of divorce. Gilbert's ability to run out of his nightmare gave me hope, that perhaps I too could find an anchor that could ground me. Some activity that would help me fight depression and beat the obesity that was suffocating me physically. His words that “running is my therapy, it’s my freedom. It grounds me. It makes me happy. It is the vehicle for all other blessings that have come my way.” stuck with me. But what could I do? Frankly, I hate running. But, if running is Gilbert's therapy I thought, it does not have to be mine. Perhaps I could find some other type of activity, a movement, an exercise that will be a prescription for healing from mental and physical pain. A year later I found the powerful prescription of deadlifts, squats, pushups, and real food to be my therapy and anchor. This is why they are the core of Hashi Mashi. Perhaps running is your anchor, or weight training and real food, or both. You need to experiment. For sure, sitting on the couch and brooding over your problems will not solve them. You have to start moving – to move past your problems. 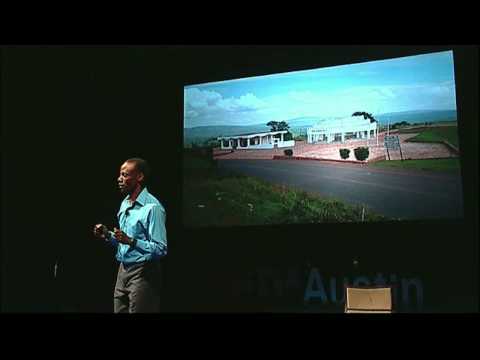 If you can find 13 minutes and 43 seconds to listen to Gilbert Tuhabonye's awesome TED Talk in Austin, Texas, 2011, his clear and beautiful words to forgive yourself, those who hurt you and to live with joy will surely inspire you. Gilbert's world exploded in 1993 with the assassination of the Hutu president. The biggest threat to losing hope is the life story of Gilbert Tuhabonye. His experiences will inspire you to stay the course and weather the storms you are facing now. Never give up, forgive yourself and those that hurt you, and live every day with joy. That is the powerful message that Gilbert Tuhabonye shares which can change your life. Do you have a story of survival that you can share? How do you overcome your challenges, what keeps you going? What are your ‘anchors'? Please leave a comment, thank you! 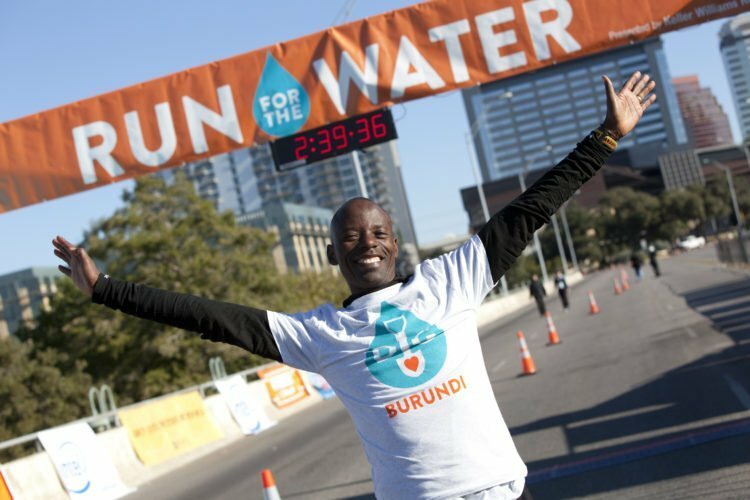 For each registration in the 10-Miler or 5K, the Gazelle Foundation is able to ensure one more person in Burundi access to clean drinking water for the rest of his or her life. You can register here for this years 2018 Run for the Water event.